The style of Aska reaches, at the same time, an impressive technique and an emotional expressiveness. Agile, lithe, delicate but strong and edgy at the same time. While she plays, the violin seems to be a continuation of her body, with perfect harmony between his inner world and the external. Through it, she can touch the hearts of the people, and through it, people can touch her soul. Aska was born in Tokyo and grew up among a family of visual artists. At the age of four she began studying piano and violin. 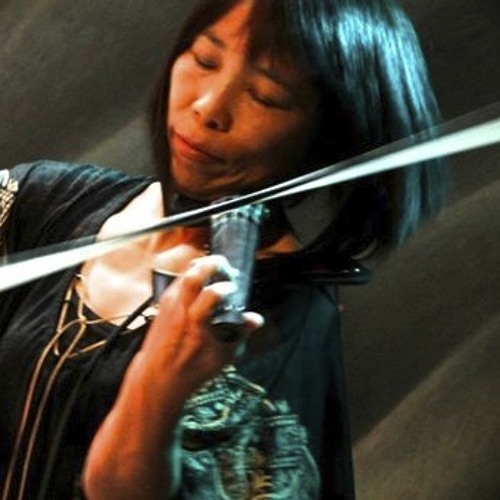 Aska’s unique improvisational style may be linked to her childhood habit of practicing her violin in outdoor settings in dialogue with nature. At the age of fifteen Aska won the Grand Prize in the quartet category at an international competition in London. She went on to study at Tokyo National University of Fine Arts with a full scholarship. Aska was a one of the musical directors of the Asian Fantasy Orchestra, a 10-year pan-Asian project supported by the Japan Foundation. In New York Aska has been awarded a Bessie Composition Award in 1998. Since 1980’s Aska has also been involved with countless studio recording and support concert tours. Aska leads a large strings group (Aska Strings), which has released four CDs of original compositions including a collaborative work “Encounter”with Hugo Fattoruso(Pf). In Japan Aska is well known as the musical director of numerous major theater productions. Sound is a wave. It matters not if we ponder this fact or ignore it; sound directly impacts our bodies, our minds and affect us all at a cellular level. © 2018 Aska Kaneko. All rights reserved.